If TAR really wanted to switch things up, TAR30 should have a westward, Oceania/Asia-heavy route. There's definitely a lot of diverse locations in Oceania and Asia that could fulfill the different tropical, rural and urban location checklist. So, if we have a really good leg or a few really bad legs in a country, TAR should retire them and never go back? That makes no sense to me. If you have a history of good legs, I'd think you'd want to go back and duplicate it. If you have bad legs, I'd think you could improve that. Any country should be capable of having a good leg. As for Oceania, I hope they go there, but it is more expensive to do so. Tahiti was very expensive and I believe that it affected the destination choices in the rest of that season. I'm not sure, but I think there are fewer flight choices into the various islands. Australia would be different of course. I thought SA are generally safe and I think production will be fine as long as they planned the leg happen on mid-day and the security team joining them. Sidenote: I think they visited one of the "dangerous areas" in TAR2 Cape Town leg where a local saying "If you go there, there's a lot of criminals and will kill you." but end up nothing happened. Like Plaidmoon said the flights both get into and get out from South Pacific islands was very limited. Most of the flights there need a airport connection via Australia or New Zealand so I think production might end up insert a few Australia and/or New Zealand leg in order to gave convenience and appropriate head start for production side. (See 22 Oceania legs.) Not to mention Australia and New Zealand legs would act as pseudo Europe leg just in case there's no or less Europe leg featured on the season judging the recent security problem on Europe. (See 2 which is the only US season so far did not feature any Europe leg.) But then a bunch of early Oceania leg start would mean it's potentially more expensive to produced than the early Europe leg start. I really think will have a less Europe leg, mostly in Northern regions such as Latvia and Finland within a westward route, oppose of overused Germanic-speaking countries of this continent. I don't know how reliable IMDB is, but Episode One is listed as "airs 2018". We're more likely to end up on January like Hunted did than be a midseason replacement IMO. Okay so give a little of a break, I just joined and I really wanted to chip in because I just spent the night binge watching and then trying to find any hints of Amazing Race 30 and I came across this. I didn't read most of the posts in this thread (I did read the entire first page though) but I kinda glanced in and out, so if I'm repeating things that have been said, forgive me. So first off, I'm going to agree that they're gonna go to Australia or Oceania first. We also have to consider that it's pretty much guaranteed to start in LAX, and the first destination (at least when going to westbound) seems to always have at least one nonstop flight. This limits us to Fiji (Nadi), Tahiti (Papeete), New Zealand (Auckland), and Australia (Sydney, Melbourne and Brisbane). So I think any other Oceania countries can be counted out. I also saw someone say something recently about Angola. I highly doubt they will ever go to Angola because inflation there has made things ridiculously expensive. I read somewhere something about a whole watermelon costing like $100, so I doubt CBS will allow them to go there. Along with that, it's ridiculously hard to get a Visa to Angola, so that basically assures us that it will never happen. I do too agree the possibility of South Africa. I was actually just noticing that the other day. Also agree the SA won't be visited. Maybe also a return to Ethiopia, or Kenya (seeing as they've only gone there for a quick stop in 5), or maybe somewhere new like Lomé (although I think this will be reserved for a cross from SA to Africa in a future season, if there is a future season). Maybe Abidjan, Ivory Coast? I think that South Africa is highly overdue and that's extremely likely. If it happens to be that CBS wants to make this "go out with a bang" I think we might be able to count on Nepal. Phil Keoghan said in a Reddit AMA a while back that if he had to pick a new country for them to go to, he would really like to go to Nepal. But also, like someone said, India hasn't really been visited much lately, so that might not happen because they don't ever do two countries in that part of Southeast Asia. Speaking of Asia, if it's an All Stars, they'll probably go to Kuala Lumpur and visit Batu Caves, as they've done it in both All Stars. If they go to the Middle East, I don't think Qatar is going to happen, due to recent current events involving the area and the US government (thanks Trump) kinda not supporting Qatar, but who knows. Plus Doha is a HUGE airline hub, which Amazing Race likes to go to due to flexibility, but I don't see it happening. Doubt UAE because it's overused, and Turkey is definitely not happening (even though it's not bad at all, it's just Western media hyping it up). Jordan would be a safe bet, especially with flexible flights. Other plausible bets would be Oman and Bahrain. If not once again for Western perceptions, I would say Egypt, especially with TAR 5 being a favorite and having only been there once. Speaking of favorites, I also think, going off the theory of "ending on a bang" there'll be a country with a memorable switchback. I was thinking possibly England for the watermelon challenge from season 17 or maybe St Petersburg with the caviar challenge from season 5 (but I don't think Russia's going to happen with the tensions between US and Russia right now) or the padlocks from season 6 in China. Maybe find a way to make the tea challenge from Unfinished Business work. You get the idea. Also final country needs to have a nonstop flight to the US. Maybe Iceland? Iceland has become really popular lately, and with airlines like WOW and IcelandAir this is a possibility. Other possibilities include Madrid (which hasn't really been visited ever), Copenhagen, Stockholm, Germany, or maybe even Dublin—if it ends in Europe. If it ends in North America, then it's a complete wild card. Would say Cuba, but now with Trump trying to embargo Cuba again that's unlikely. Maybe Port of Spain, Toronto, Montreal, Kingston, San José, San Salvador or Santo Domingo? If it ends in Latin America, the end city would need to be Miami, Atlanta, Dallas, Houston, Washington (unlikely seeing as they just did that in S22) New York (or maybe Charlotte?) due to limited nonstop flights, unless they don't start in LAX. Going back though, Europe, I do agree that they'll probably not do France due to too many times plus the terror attacks. Switzerland also due to overuse. Maybe same with Germany (I know I said it as a possibility as a penultimate stop, but still)? Riga is a great possibility, with many flights to Riga daily from all over the place. I'd count Slovakia out, as flights are limited, so they would have to take a train from Vienna or Prague (Prague would be a good choice though). Serbia maybe, as Belgrade is a flight hub and they haven't gone there yet. I do like the idea of Belarus, and feel it would be a good alternative to Russia itself. Like I said before, Madrid surprisingly hasn't had a pit stop (I don't recall them ever visiting either), so it's a strong possibility, especially as a penultimate stop if they fly directly from Europe back to the US. Okay so that's my theories as to locations. First off, I agree with the speculation it won't be new teams. I do feel if they're not "ending on a bang" it won't be an "All-Stars" per say, but it would be like an "Unfinished Business 2". I just don't think they'll have an All Stars that close to another, plus if they did, then they would have to once again bring back fan favorites like the Globetrotters, Cowboys, and Margie and Luke, which would be too much. If they did an Unfinished Business, it would give them an excuse to start fresh just like they did with the previous UB. My other casting theory is IF they "end on a bang". I feel if they do that, they'll pull teams from all previous seasons, so I'd say we could expect teams like Charla and Mirna, BJ and Tyler, Rob and Brennan, to come back from early seasons (if they allow winners to go again). I'd also entertain the idea of doing a season with ONLY winners, so again, Rob and Brennan and BJ and Tyler, Euchenna and Joyce (they are divorced but apparently still good friends) but also other memorable winners like Nat and Kat and Dave and Connor. If they do the latter, I feel that they may also expand back to 12. I think a cool idea would be to bring back teams that were eliminated first, but I highly doubt they'd do that. Anyways those are my predictions. Feel free to yell at me for repeating other theories (if I did) or being so interruptive. They didn't get U-Turned, they lost the Fast Forward to Adam & Bethany which put them in back of the pack. Your post made me think that if CBS and WRP want TAR30 to be "the show cancellation last season with a bang" style, route wise I think they need to have a westward route (For the first time we have eastward route for last three consecutive season since the inception of westward route in TAR10) with whole influx of new and underused countries/locales and maybe having Africa leg on the last few leg before flying back US for final leg which only TAR10 nearly happened. Speaking of possible new or underused countries I think Middle East region would have biggest challenge to achieve this due to political stability in general. I would say Israel instead because despite I read somewhere the cost spending on producing a Israel leg would be unusually high but the payoff would be magnificent and might fit the "bang" theme. Though I only expected they would only host a leg and most likely running around Jerusalem due to that said high cost production but I think it can delivered very well on "Wow!!! Look at this magnificent location it's so amazing" sense. You're right, my bad. I haven't seen season 25 in like a year (I'm currently rewatching all seasons in order and I just got to 24), but I checked and you're right. My apologies. I find it very unlikely that they'll go to Israel. 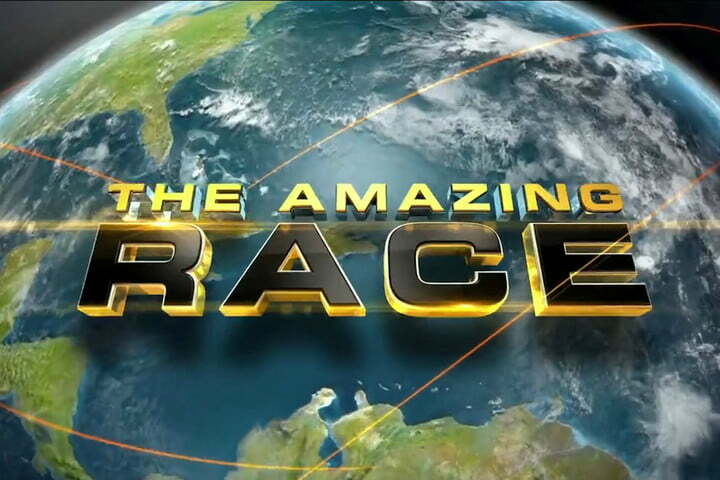 Amazing Race is struggling with ratings as it is and I think going to Israel would hurt that, seeing as Israel is not well-liked by a quite significant amount of viewers. I personally think it's likely they'll completely skip the Middle East, but this was just speculation if they went this time around, especially if they go to somewhere like India or Nepal, because often when they go to the Middle East, they skip that area (such as 23 and 28), and having not gone to that region these past two seasons and only once in the past five seasons, I think we can count on it. And especially if they're ending with a bang, because then they'll probably go to Nepal. Also on a side note, I also just realized they may also bring Mark and Bopper back for an Unfinished Business, seeing as their unfinished business is that Bopper had to drop out of the race, especially since they're so well-loved and they really need the money. to RFF nrh2110 ! Loved your post, lots of good info in there! Based on what I know...this is not "a go out with a bang" season, perhaps more of a "whoohoo we are back!!!" season? I think wherever we go this time it will be an epic route. Hoping for shades of TAR 5, perhaps the longest one ever? You are in the right place for spoilers, you can explore our TAR 29 thread to see what the team can do here!! This is a race route I prefer. Thanks for the welcome! I hope you're right that it's not a "go out with a bang season" because not only do I love the Amazing Race, but also I finally turn 21 next year and I really really want to at least have the chance to apply. I do definitely think that it's old teams. I know the casting page says they are casting new teams, but maybe they're trying to hide it? The last two seasons with old teams, 18 and 24 were 6 seasons apart, and 30 is 6 after 24. I don't think they will wait longer because they only shorten the amount of time (1 to 11 and 11 to 18) between seasons. We'll see though, maybe it will actually be new teams, seeing as, of the seasons since All Stars, only 2/5 were regular seasons, and 26 was a huge flop, so they may try to pretend like it didn't happen. We'll see. Hopefully if it is an old team season, we'll actually have a good map because the last two weren't great. I'm watching 24 right now and I'm realizing the first four countries all have two legs, which is already a bad start. That being said, I liked the maps of these last two seasons so maybe van Munster is on an upswing with designing these courses. I feel that if they did All Stars, it would be better to do for season 32 so that they have some more new teams and possibly more ratings. I think that Oceania and South Asia will be visited. Probably europe too, but im not sure about where, kinda the same with Africa. Some places they could visit in Asia would be Thailand, Laos, Japan, and Philippines. I hope they do westward route and have thw penultimatebleg in North America in maybe Jamaica or Belize. Im expecting Oceania, which does cost much but there are other places they could do to even it out. I feel that if they did All Stars, it would be better to do for season 32 so that they have some more new teams and possibly more ratings. Nah, I think 32 would be too long. AS 1 to UB = 7 seasons. UB to AS 2 = 6 seasons. 32 would be 8 seasons, and they already have plenty of teams to choose from. If they wait any longer, it'll be 31, but I doubt they'll wait all the way to 32. Then how do AS 1 count, it took 10 seasons to pick 11 teams to return?